Thank you to Alain for lending us this pen! 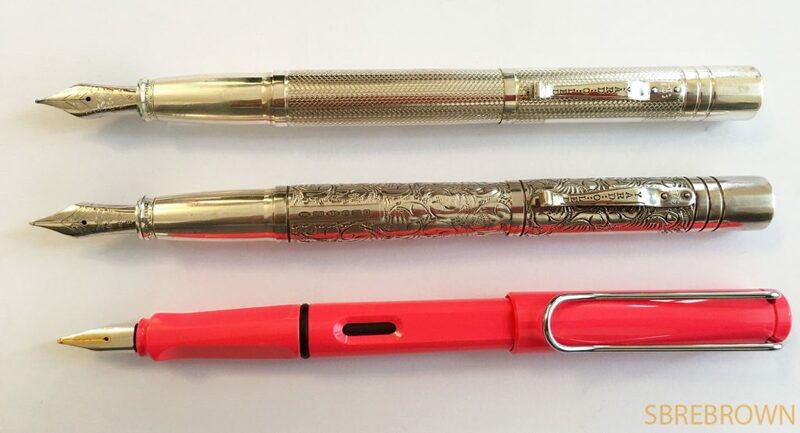 I can say our feelings on pens sure have changed over time. We’ll have to do an updated version.Reviews, writing samples, and previous Serious Nibbage episodes can be found under the Pens, Paper, Ink menu! 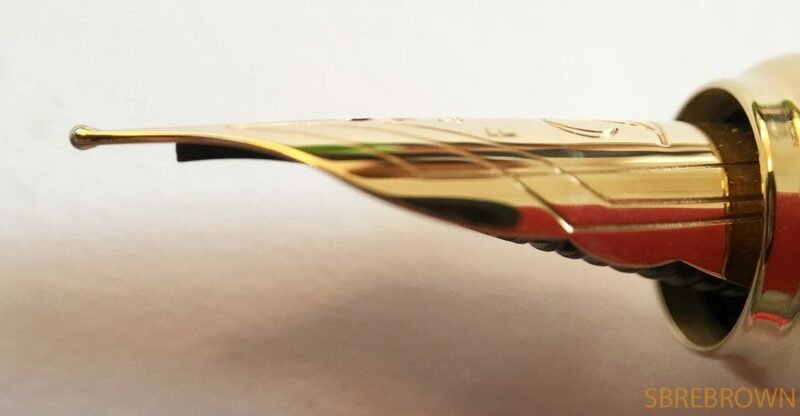 This entry was posted in Fountain Pens, Humour, Information, Serious Nibbage and tagged 21k Gold Nib, Cartridge, Converter, Ebonite, fountain pen, Fountain Pens, Gold Nib, GourmetPens, Japanese, Japanese Pen, king of pen, Lacquer, Sailor, Urushi Laquer on May 18, 2018 by Azizah Asgarali. 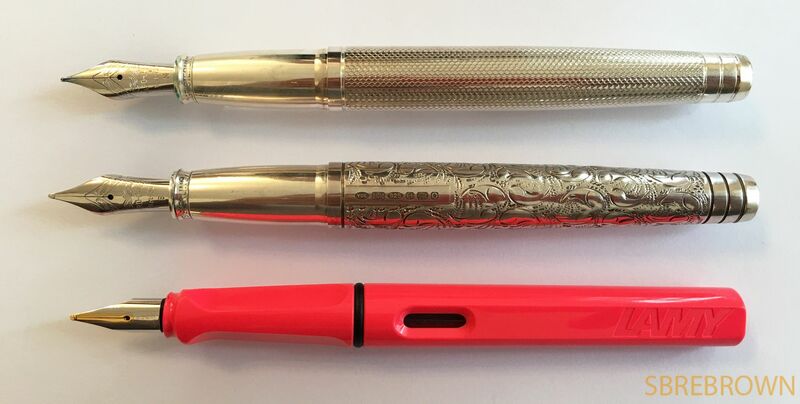 Thank you to Appelboom for lending us this pen for review! Reviews, writing samples, and previous Serious Nibbage episodes can be found under the Pens, Paper, Ink menu! 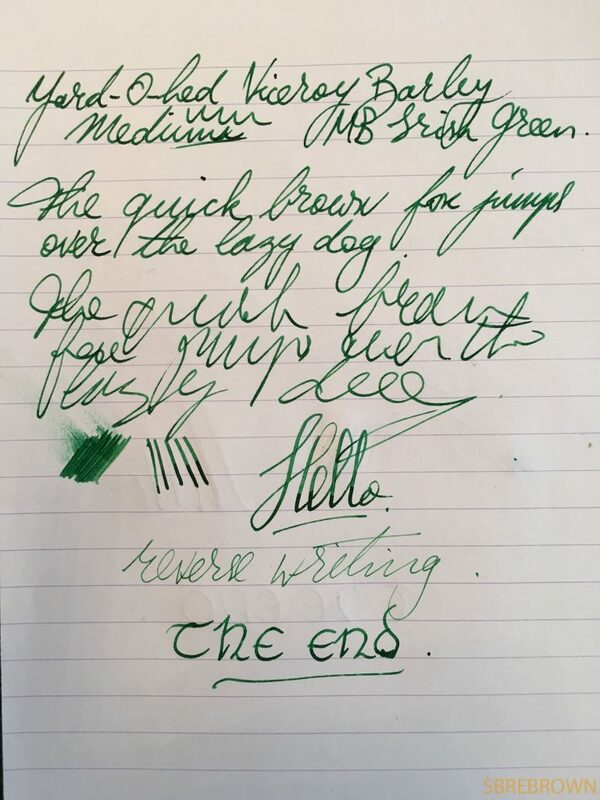 This entry was posted in Fountain Pens, Humour, Information, Serious Nibbage and tagged Appelboom, Cartridge, Converter, fountain pen, Fountain Pens, GourmetPens, Serious Nibbage, Steel Nib, Visconti on December 1, 2017 by Azizah Asgarali. 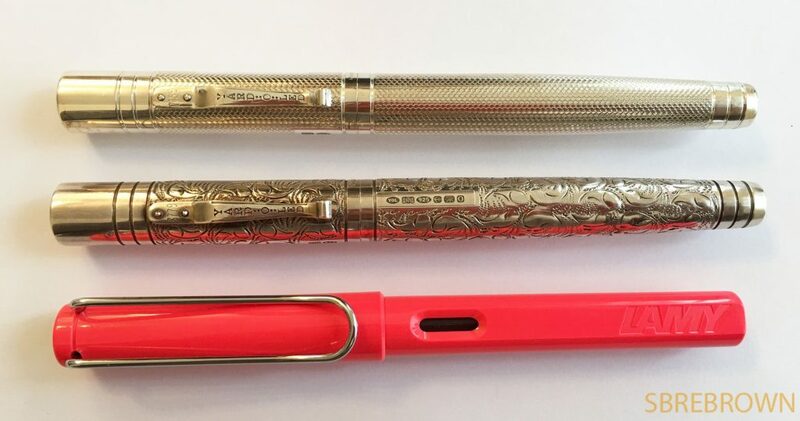 Thank you to De Roos for lending us this Porsche TecFlex fountain pen to review! Reviews, writing samples, and previous Serious Nibbage episodes can be found under the Pens, Paper, Ink menu! This entry was posted in Fountain Pens, Humour, Information, Serious Nibbage and tagged Cartridge, Converter, Gold Nib, GourmetPens, porsche, Serious Nibbage, TecFlex on October 20, 2017 by Azizah Asgarali. Thank you to Appelboom for lending us this Visconti Van Gogh Pair of Shoes fountain pen to review! Reviews, writing samples, and previous Serious Nibbage episodes can be found under the Pens, Paper, Ink menu! 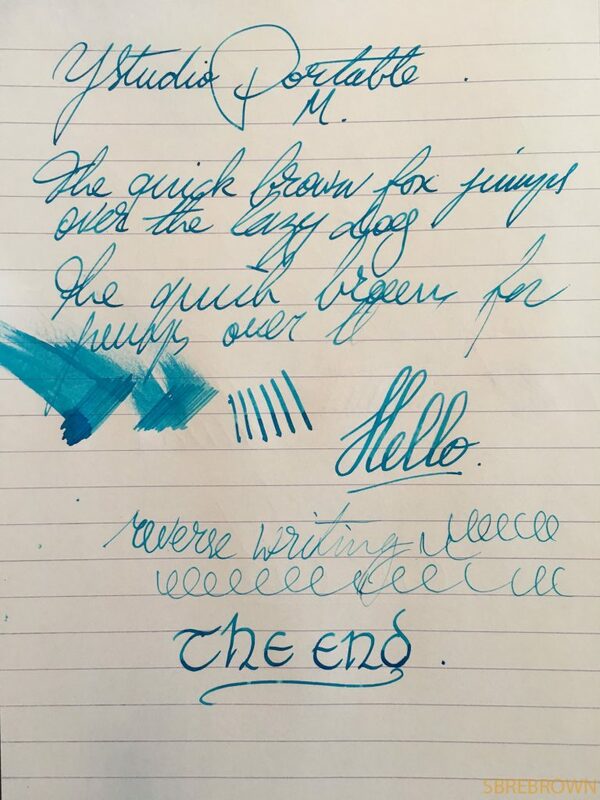 This entry was posted in Fountain Pens, Humour, Information, Serious Nibbage and tagged Appelboom, Cartridge, Converter, Steel Nib, van gogh, Visconti on October 6, 2017 by Azizah Asgarali. Kind thanks to Joost from Appelboom Pennen, who lent me this S.T. 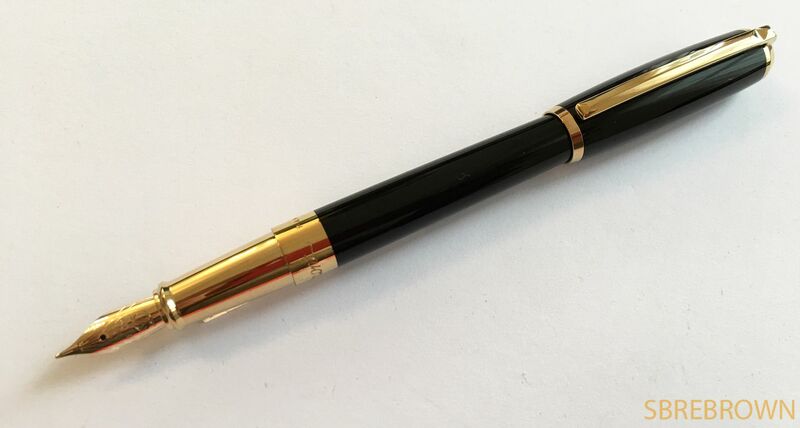 Dupont Line D Black and Gold fountain pen. If you shop at Appelboom, use the discount code in the banner below (‘friend’) for 10% off your purchase – excluding Montblanc. 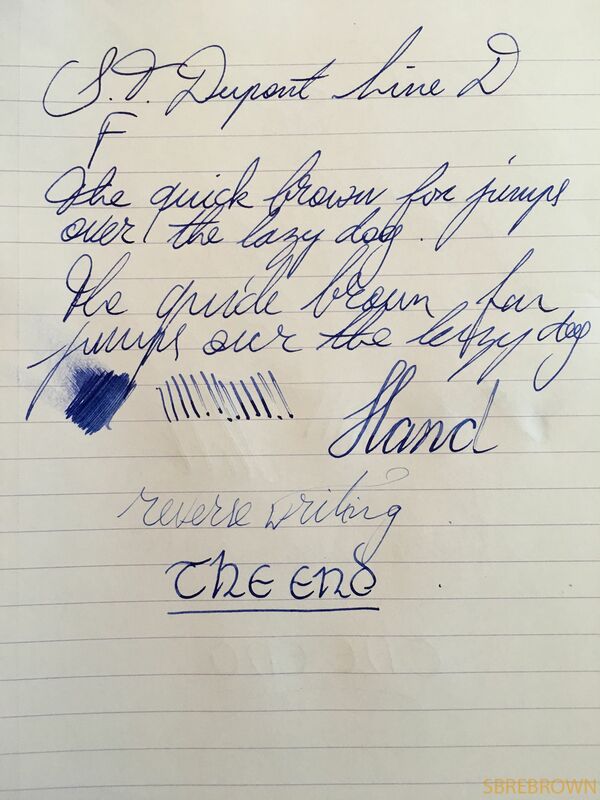 This entry was posted in Fountain Pens, Reviews and tagged 18K Gold Nib, Cartridge, Cartridge-Converter, Converter, Line D, s.t. dupont on July 10, 2017 by sbrebrown. This pen sent to me by La Couronne du Comte. 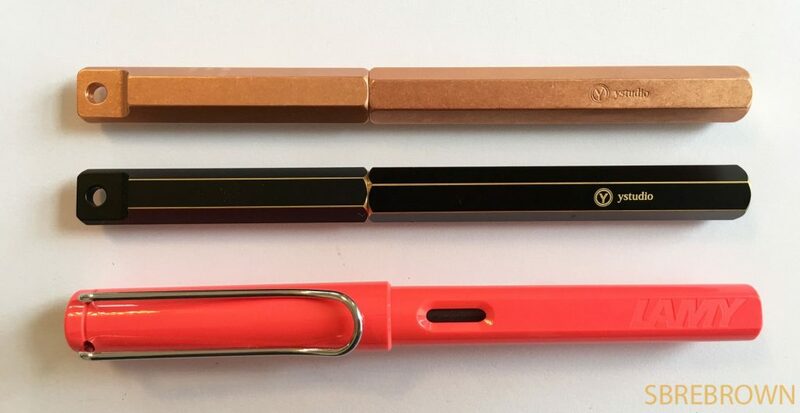 You can use the code BROWN10 for 10% off your purchase, but that excludes Montblanc. This entry was posted in Fountain Pens, Reviews and tagged 18K Nib, Cartridge, Cartridge-Converter, Converter, Gold Nib, Sterling Silver Pen, Viceroy Grand, Yard-O-Led on July 5, 2017 by sbrebrown. 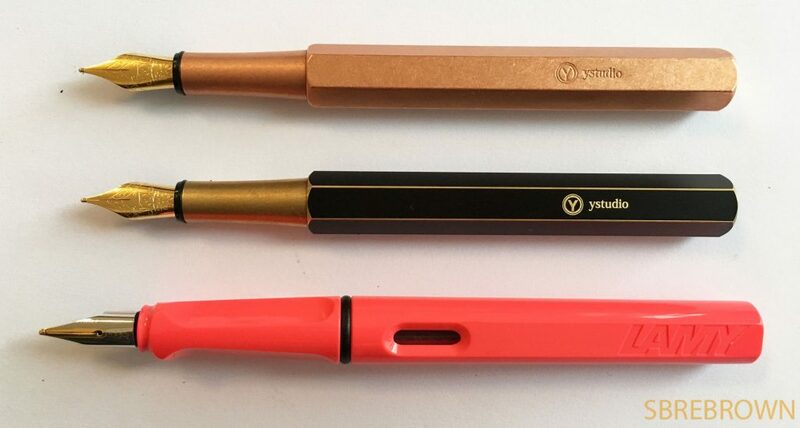 Kind thanks to Joost from Appelboom Pennen, who sent me this Studio Portable fountain pen. If you shop at Appelboom, use the discount code in the banner below (‘friend’) for 10% off your purchase – excluding Montblanc. 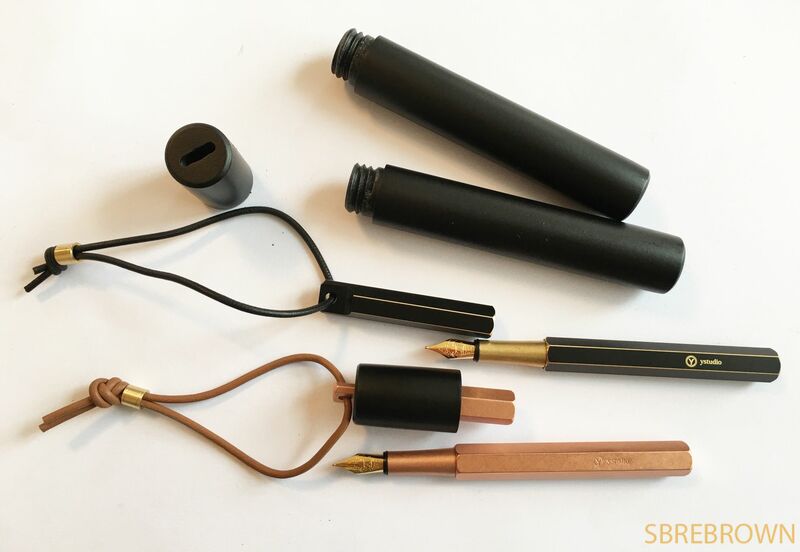 This entry was posted in Fountain Pens, Reviews and tagged Brass Pen, Cartridge, Cartridge-Converter, Converter, Copper Pen, fountain pen, Lanyard, Portable, Steel Nib, Ystudio on June 26, 2017 by sbrebrown.